My new book, A Prairie Journey, is finally here. If you pre-ordered a signed copy from me, your book should be arriving soon. If you forgot to pre-order, I still have some copies left and you can order one here. If I run out, I will buy more. Books should be available in shops sometime in early July so check with your local shop and if they haven't ordered any yet, ask them to do that. You can also buy the book through Amazon. If you are outside the U.S., an e-book may be a good option for you. You just instantly download the book to your computer or tablet. As soon as the book is released to shops, it will be available here. 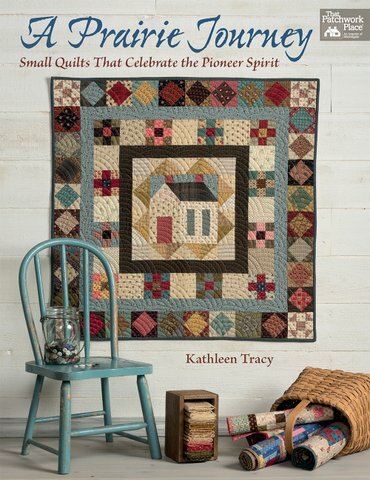 We'll begin making quilts from the book in August for our small quilt challenges in the online groups so if you order early you'll be all ready to join in and make some quilts along with us. You might want to visit a quilt shop and pick up some new fabric while you're at it. You have my permission . . . .
Everyone loves baskets and they've always been a popular motif in quilts. 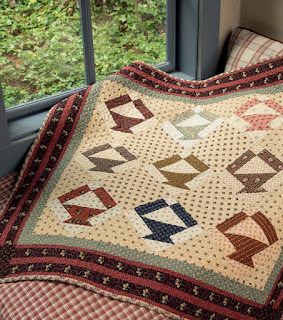 Long ago, there were so many uses for baskets and they were such a part of nineteenth century life that it’s really no surprise that they found their way into quilting patterns as well. We should all have one or two basket quilts in our collection, don't you think? Civil War baskets from my book Remembering Adelia. Olivia Loves Baskets pattern is available on my website. 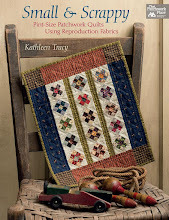 Prairie Baskets is from my second book Prairie Children & Their Quilts. 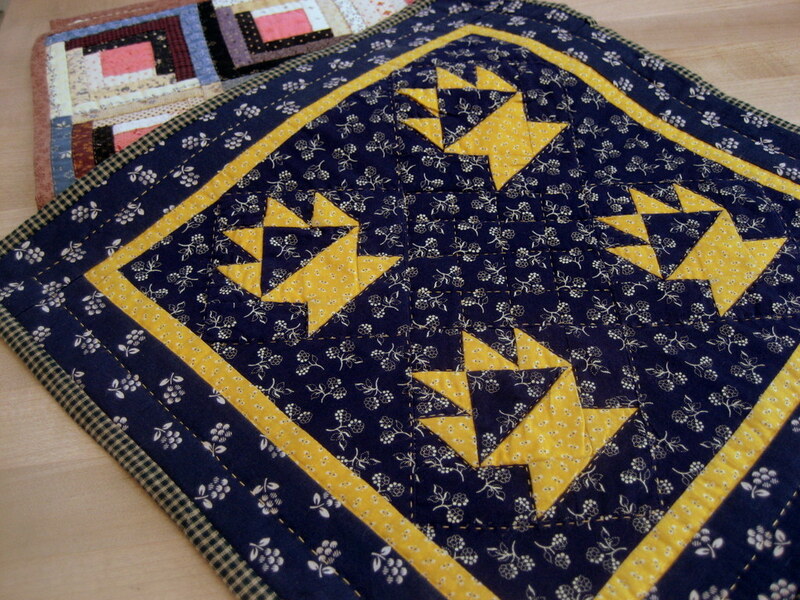 The one below is a vintage doll quilt. This month in my online groups we're making quilts from 4" basket blocks. It will be fun to see all of the different variations among those who choose to join in since you can make them in your choice of colors, fabrics and setting. The pattern is in Files in the Facebook group or the Small Quilt Talk group. Go to the sidebar on my blog to find the links. I have not decided on my setting yet. You can make as few or as many blocks as you wish to complete your quilt. If you only have time to make one block, turn it into a small pillow or coaster. Making a few blocks only takes a couple of hours. 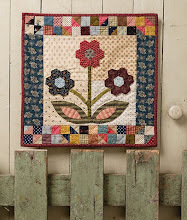 I promise I will nag you to work on sewing borders on your quilt next week and then quilting it the week after. By the end of June, you should have it all finished. We get (and give) a lot of encouragement in the Small Quilt Lovers Facebook group. You should join. It's fun. My lovely teeny tiny blue and red baskets, a special gift from my friend Marian. 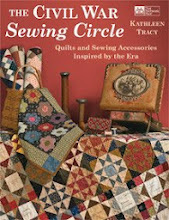 This is Aunt Sarah's Sewing Basket, from my new book, A Prairie Journey, which will be here in July (or sooner, I hope).